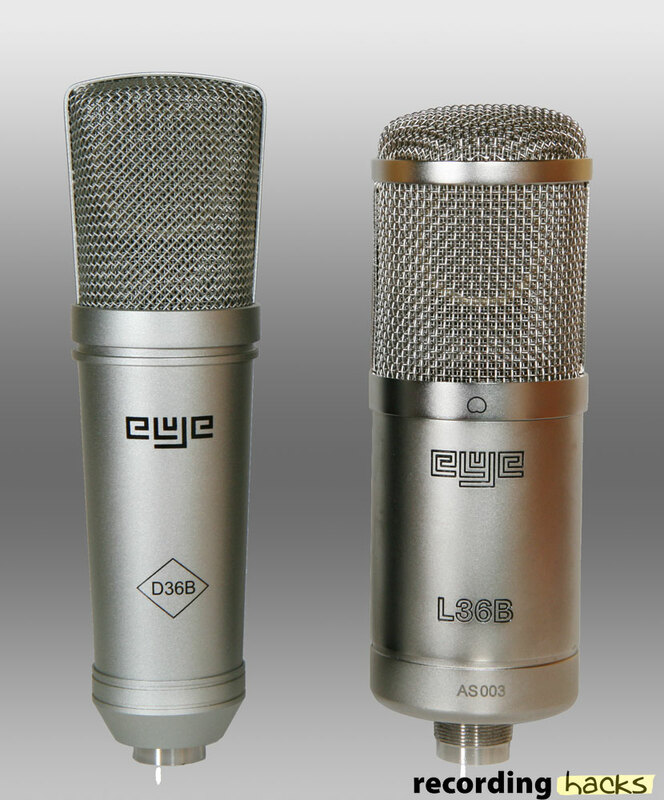 So, Matt asked me if I’d be willing to review some microphones from a company called Aseyer. I had never heard of them, but why would that stop me from plugging them in to see how they sound? So, how do they sound? The answer is pretty good. Often when I get mics the first thing I do is put them over my drum set, and record myself playing. I’m a lifelong drummer so I know what sound will be produced and I can often get a feel for a mic after listening to playback. When I heard these tracks together I thought the sound was really great. These two mics make one excellent overhead. When I listened to each individually the differences were quite striking. The L36B has a really nice low mid, good articulation and nice sound in the top end. There’s a slight scoop in the upper mids, which keeps it from getting too harsh. The low was fairly clean. The D36B, on the other hand, is much more upper-mid-forward with less of the low-mid warmth, and a brighter top. These differences are probably why I enjoyed the sound of the two mics together. My first use of the mics in an actual session was a solo acoustic guitar and vocal, with Patrick Jenkins, an artist I’ve been slowly chipping away on a record with. He’s a very good singer and writer, but not a ‘fancy’ guitarist. This particular song was designed to be just guitar and vocal, maybe with a harmony. I knew that I’d want stereo guitar and some room sound. For the room I used the D36B, thinking that I’d be able to capture the ambience, even if it is low in the mix. I figured while I was at it I’d put the L36B on the vocal. Both mics did quite well. The L36B has a very even tonality on vocals and the D36B worked really well for some room splash. For the harmony vocal we wanted something more based in feel, and more interesting. I had Patrick stay where he was, but I only used the room mic to record the track. 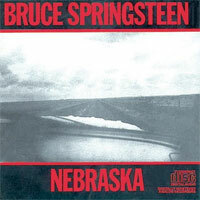 The distance and sound of the mic gave it a very cool, eerie feeling, reminiscent of Bruce Springsteen’s Nebraska. A little while later I used the D36B as a close room mic on drums for a gospel session. The drummer had a pretty tight snare sound, and nice articulation. I put the mic at snare height about 4 feet from the drum, and got a really nice hard sound of the full drum-set. I’ve worked with this group before and we end up workshopping [read: learning] the tunes with the full band and five singers. I have keys and bass going through a small PA, the singers singing without mics, and the guitar in the hall, with the door open. I pointed the D36B’s null at the PA speaker, and had no issues with bleed being too loud, even though the mic was only 18 inches from the speaker. I put the L36B up in front of the singers after a take, but as expected there was just too much sound in the room to hear it as anything but a room mic with vocal bleed. BUT, when it came time to cut vocals, with the lead singer and the backgrounds separated by a gobo, the L36B sounded really nice on the lead vocal, and the D36B worked fine for the backing vocals. 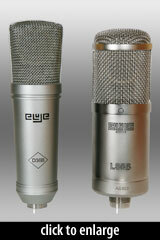 Again the L36B (the more expensive mic) sounded very even on a female singer with a wide range. It’s not a color mic by any stretch, but a solid performer. The D36B being thinner in tone worked well for backing vocals, helping them not take over the lead, even though four ladies were singing into it at once. 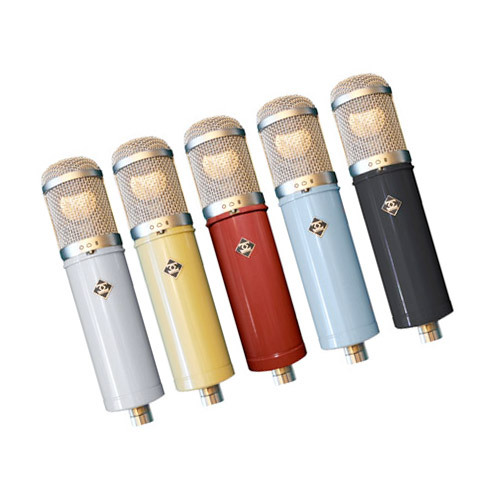 All in all I think these are pretty decent mics. The less expensive D36B is useful, but far from special. The L36B seems like a mic that would, in time, prove to be a pretty smart purchase. Tony SanFilippo is the owner and chief engineer and producer at Oxide Lounge Recording in Bloomington, IL. 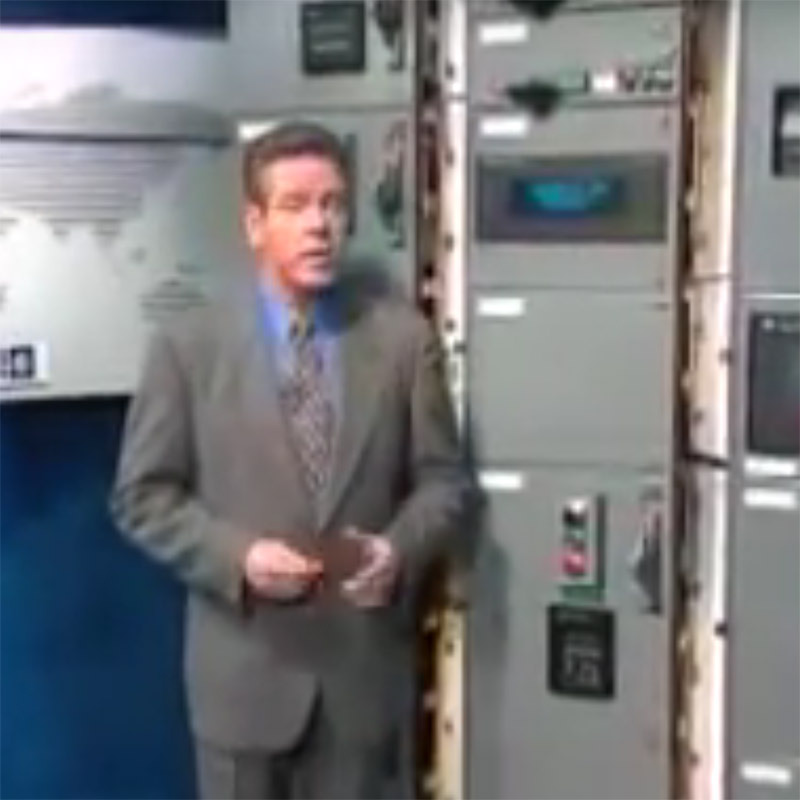 He has written for Tape Op Magazine and numerous web publications.